The bride and/or groom must be resident for 30 days before the wedding day unless they have a non-legally binding ceremony in Monaco and the official ceremony in their country of residence. The paperwork must be certified and translated by an approved translator. It includes a birth certificate and proof of residency of at least one of the couple. If either the bride or groom has been married before, they will need a death or divorce certificate. Additionally, a certificate of the ‘marriage banns’, proof of a public announcement of the upcoming marriage, is required. 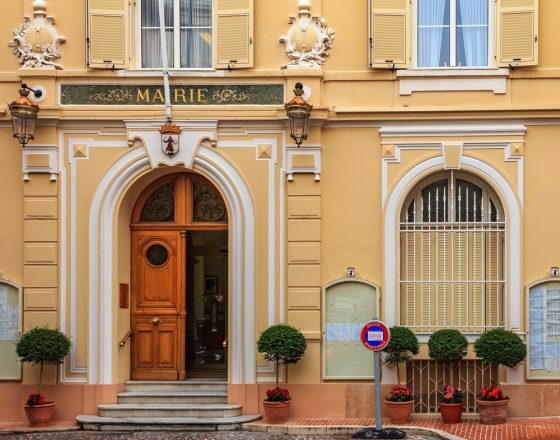 The couple must post their intent to marry on the door of the Monaco Town Hall for a period of at least 10 days, which includes two Sundays. Divorce papers or a death certificate for those who have been married before. Prior to getting married in Monaco, couples attend the Service de l’Etat Civil of the Town Hall to prepare a marriage file and marriage certificate at least two months before the ceremony. The phone number is (+377) 93 15 28 66. The ceremony takes place at Monaco Town Hall and must be witnessed by at least two people over the age of 18. These witnesses need to bring proof of their identities. Although you must be a resident to get married in the Principality, it is possible for non-residents to take part in symbolic Monaco weddings. There is a vast range of incredible venues to choose from for your Monaco wedding. The symbolic ceremony can take place in gardens, on yachts and inside luxury hotels such as the Hôtel de Paris and Hôtel Hermitage. They can be as intimate or large as you desire. For wedding receptions on a grand scale, the Salle des Etoiles can accommodate up to 950 guests. A wedding in Monaco is so idyllic that you might even forgo the honeymoon! If you are getting married in Monaco and would like to learn more about Monaco real estate for sale to make the Principality your marital home, please contact our friendly team.